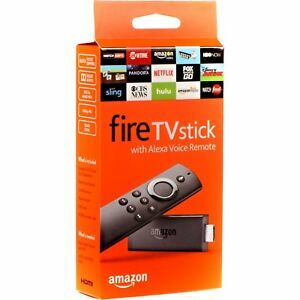 The Amazon Fire TV Stick is a Digital HD media streamer that transfers music, photos and videos in HD quality. This model connects to other devices through Bluetooth, Ethernet, USB and Wi-Fi interfaces and is suitable for mediating of home network media signals. Its 1080p resolution lets you enjoy clear text, visual details and images. Wymagana jest natychmiastowa płatność w kwocie GBP 34,69. If payment or correspondence is not received in 7 days, the sale will become void and the winner will lose all rights to the item and we will begin the unpaid item process. Payment by PAYPAL requires you have an account otherwise there will be a delay in sending payment. Please note all prices include VAT.